For over 10 years Porta Mallorquina has been one of the most prestigious addresses for real estate sale and long term rental in Mallorca. With up to 100,000 visits a month our multilingual website porta-mallorquina.de is one of the most popular real estate sites on the Internet. Our high-profile clientele come mainly from the German-speaking countries, the UK and Scandinavia. 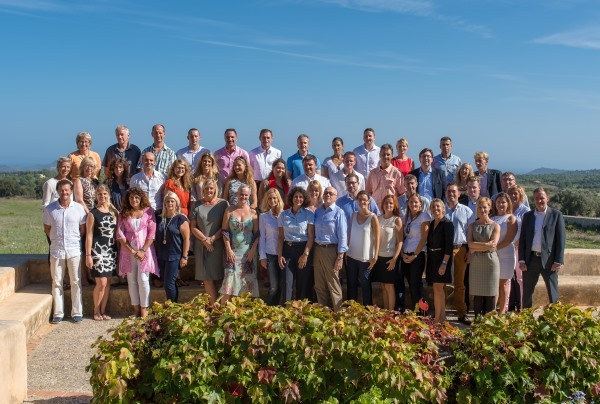 Around 60 employees work on site at nine locations across the island in the interests of our customers, a commitment that has paid off with more than 2,000 owners now placing their trust in us and giving their properties to Porta Mallorquina for marketing. Since 2013 we have been represented in the old town of Palma with a private real estate shop, in a prime location opposite the Parliament, Calle Conquistador 8. Palma de Mallorca, which according to the Sunday Times is worldwide the "best place to live 2015", is one of the most sought-after property locations on the island. Our local franchise partner Ria Blum and her team have succeeded in making "Porta Mallorquina" synonymous with competent, friendly and dedicated real estate consulting for both owners and buyers. Due to the high demand for well located villas, penthouses and fincas in the Palma area we are looking for a dedicated procurement agent for real estate sales for the region Palma. As the procurement agent you will form the interface between the owners and your colleagues in the sales department. You will professionally examine and record new properties, create exposé texts and make sure that all the necessary sales documents are available. You are aware of everything happening, as is the owner who you regularly inform of all developments and marketing measures. You will receive prepared customer enquiries for your region, you will contact the prospective buyers and accompany them in the search for the right property. For this purpose, you will organize viewings and take care and answer all the questions your clients may ask. With your extraordinary service availability, you will professionally accompany your clients until the day of notary signing and beyond (after-sales service). Attractive success fee for each acquired object and for each sale you will receive an above-average commission. Modern, well-equipped work environment in our real estate shop at the entrance of Palma. Web-based working organization that allows for time- and location-independent working. Regular information exchange at get-together meetings and international partner meetings of the Porta Mondial Group. Very good Spanish and German language skills. Excellent local knowledge of the Palma area. Experience in sales and/or real estate industry is advantageous.